Last quarter of the year 2018 is action packed and filled with many major titles already released and coming up. 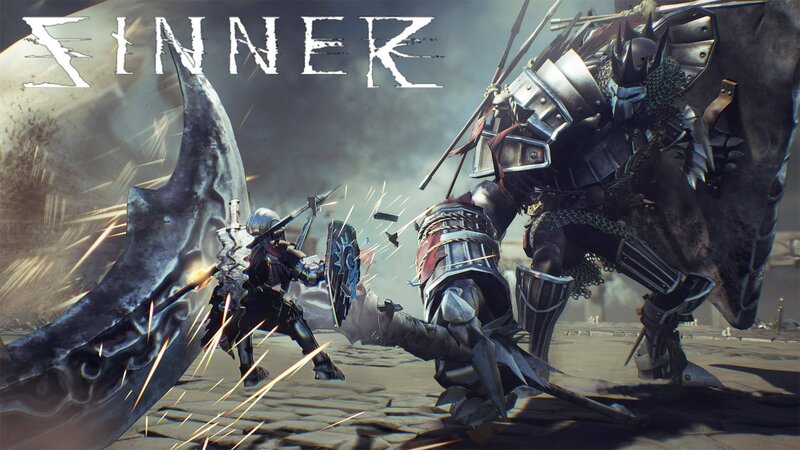 In a rush of upcoming games, Dark Star Studios and Publisher Another Indie dared releasing their own small title called Sinner: Sacrifice for Redemption. It is not a great timing to release a new IP, when you know that giant IPs like Red Dead Redemption 2 were to release almost a week after. It generally tends the reviewers to push their decision as fast as possible to fill the records, with the most anticipated game of the decade just a week away. As a result, the game is received harshly by the critics almost everywhere. Metacritic score for this game is a bad 5.5 with reviewers calling it too difficult and unfair. Being a speed and challenge runner of Dark Souls games myself, it gets my attention when I see a game being called difficult or brutal, so our team reached out to the Developers of this game who were pleased enough to provide us the key for PC version of this game, which is only available on discord store for the time being, with steam release to follow in the month of February, 2019. Before we start with in depth analysis of the game we must know that Sinner is a very small game by a relatively new developer. Game costs only 18.99$ on discord store and around the same for PS4 and Xbox One. The game follows the Dark Souls formula and boasts difficulty within reason. While we have seen this formula being overly followed in the Action RPG genre, we’ve also seen most games do not live up to the expectation that fans start to attach to the game seeing “SoulsLike” tag. But with that we’ve also seen games like Nioh, Cuphead, Salt and Sanctuary, which despite being low budget games were able to satisfy large amount of the audience with their unique touch to the Souls formula. How Sinner Stands out in plethora of SoulsLike games? So with a price tag which is around 40$+ less than any standard AAA title in the market today, you get a game which doesn’t have anything to explore. This game is a straight Boss Rush. There is a lore which isn’t more than 4 liner if we summarize it;I’m not going to discuss that here to avoid spoilers. But lore isn’t the strength of this game for sure. As the game was hyped as another “Souls-Like” game, I expected the game to have RPG elements, which again the game doesn’t have, instead it is the opposite of that. The game places you straight before boss fights where the catch, as the title suggests (Sacrifice for Redemption), is that you have to permanently sacrifice one of your strengths or abilities before you fight every boss. So instead of normal RPG standard of leveling up after every boss fight or gaining new abilities, you go reverse RPG and lose abilities in terms of items, health and stamina, strength etc. By the time you fight the end boss, you’re with 7 sacrifices made already and your character is in its weakest form. The only privilege here is that you can choose the order of bosses (except last) and sacrifices you make are fixed according to boss you fight. So its more of you matching your route with your playstyle. To me, this idea of going weaker than growing stronger, in a way that it was presented, was unique. The boss this game placed me before to fight first took around 20% of my health and stamina. At first I thought I’d regain it when I beat the boss. But no, if you want to regain your lost abilities, you’ll revive the boss too. I played through the game and ended up reviving a few bosses to have advantage to beat others and come back to them later to beat them again. Fighting bosses again and again was not a similar experience. Everytime I fought a revived boss it was more difficult than it was earlier because I also lost several other abilities to other bosses which I had fought before reviving him. I managed to beat the game in 3 hours in my first playthrough with all those experiments of reviving and knowing the boss move-sets. And those 3 hours were challenging, difficult and satisfying too in the end. If you’re one of those people who just want to hug the couch to beat yet another game, this might not be your cup of tea, but if you’re a passionate gamer who seeks challenge to feel that satisfaction of victory while not being treated with random unfairness, this game surely wins in this department. Fighting every boss again with different sacrifices made brings joy to the replayability value of this game. Sinner also offers different endings on top of it for fans to actually try things differently. Once you finish the game you unlock a challenge mode too where you fight almost every boss again without making any sacrifice. Its is limited on resources, but the game doesn’t hesitate to offer variety of content in terms of different ending and modes in the game. So how is the gameplay? When I first launched the game, I was surprised with how fluid the gameplay was. Every key input brings an instant and satisfactory response. I did not experience any lag or input failures. The game played smooth overall with a bit of exception in some specific areas where it dropped framerate on the PC version of the game. I found out with people playing it on consoles that it wasn’t the case on Consoles. The parries, the dodges, side scrolling the attacks bring all the Dark Souls memory back to functioning. Every boss attack is predictable but extremely punishing. While bosses hit you hard already, the game goes further with giving almost every boss 1 or 2 specific moves which will kill you instantly. This brought more excitement to the small journey as there was no 5 minutes run before you can again fight the boss, it was just a loading screen. Sinner pushes you to play aggressively as bosses tend to punish defensive playstyle. But even aggression is controlled by stamina which will limit on how many times you can dodge and bosses tend to pull long combos. So you’re forced to learn to keep your distance and learn side scrolling. 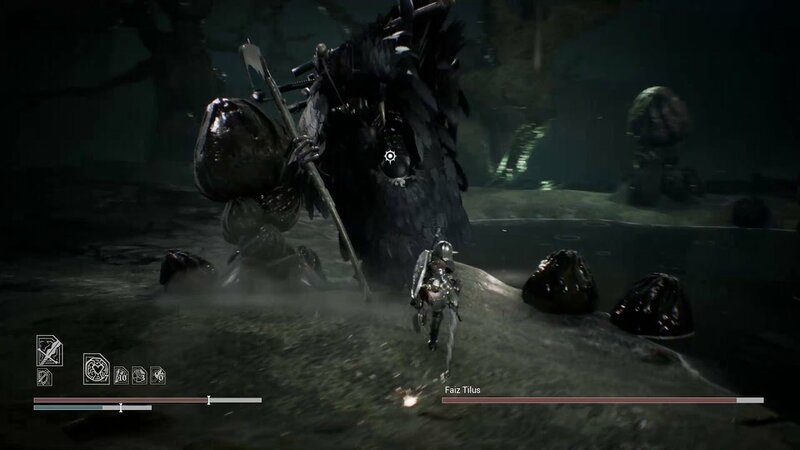 Bosses also have phases in which they turn very aggressive looking like totally unfair, but once I explored the arena enough, the most aggressive attacks of the bosses could be tackled by standing in a specific place. So game rewarded my knowledge of the arena as well, which if you don’t know will turn into a weapon for the boss. I expected less when I came to know about this game, being a relatively small and new Developer and Publisher, but the reality flooded me with joy when I saw how diverse the game was in its offering to players with different playstyles. It certainly is not a game that you can put back into your library after beating, it will leave you wanting more. I give 10/10 for the courage that this Developer and Publisher has shown in not compromising with their standards to please the average gamer and become just another cash grabber. This game sets a benchmark on how enjoyable a game can be even being short on resources and budget. So was this game perfect? No. I started the review with a point that lore is not a strength of this game. So is the character. Playable character doesn’t appeal to me. Even considering the fact that the journey this game takes me to is very short, it could certainly do something better to make me feel bonded with my character. At no point of the game I felt myself drawn to my character. His unknown origin, no background story and lack of knowledge with regard to his goal failed to make a bonding between me and my character. There are good games with only Boss Rush that were able to truly achieve this, one example being Shadow of the Colossus, where I was kept attached to my character, his victory and his failure. Character in this game seems lifeless to me. Another department in which this game delivers an average performance is background music. It felt depressing all the time. At no point the music in the game made me feel different. Victory or Failure, music doesn’t keep up with it and stays kind of depressing. So are the drawbacks badbad eno to destroy my good gameplay experience? No. Not every game has an epic appeal to the music like Witcher 3. Since I’m one of those gamers who will grind a good game for challenge runs and speedruns, I generally turn off music anyways and play music of my choice in the background. Playing my own music added fun aspect to the game for me when I ignored the lore completely. It became an action packed and one of my most satisfying experiences and ended up giving it another type of identity. I hope the developers cooperate with modding communities around the world and some fun mods may be developed for this game as this game seems a perfect one for that. Different mods like weapon randomizer, sacrifice randomizer, graphical mods, character related mods will certainly level up the experience of this game in my true opinion. With that, I round up my review for this game. For its easily manageable drawbacks that can be ignored (not ignored here certainly) and an impressive gameplay experience that doesn’t seem to compromise on its standards, I give this game a total of 8.5/10 with my recommendation to not skip this title if you’re a passionate gamer who loves to have a Challenge. For casual players who just like to play the game once and move to another, this game could be 7.5/10 with only 1 score less because the game couldn’t bond me with my character and for a seemingly forced one lore. With this, I wish you luck on your little brutal journey of this game if you go with my recommendation. What a good review. I was thinking about this game for a while and after your review it seems like it is indeed worth it. Thank you for making it stand out as a game that people need to give a shot.